Transitioning from Child to Caregiver: How Can You Make it Easier? For some, the change is gradual. For others, it seems to happen overnight. Yet, either way, you find yourself in unchartered territory. Your mom or dad now turns to you for decisions he or she used to make routinely. They rely upon you to help them walk, bathe, dress and eat. Your roles are reversing. And it’s an unfamiliar, uncomfortable place to be. For adult children of individuals with Alzheimer’s or other forms of dementia, the transition can be even more daunting, as a loved one’s memory fails and confusion sets in. It’s a role none of us would chose for ourselves. Yet it’s an inevitable one for so many of us. You are now caregiver for your parent. While you may have already made the transition outwardly, it’s time to make the transition emotionally. Keeping the following thoughts in mind as you go forward, will make it easier; for both of you. Accept your new reality. It is normal to resist this new relationship. And normal to feed your own denial. Yet the sooner you accept the fact that your parent needs your help, the easier it will be to provide it for them. This transition requires you to stretch the boundaries of your comfort zone. So accept that there will be discomfort. You will make mistakes, so don’t expect perfection; from either of you. This is one of the most challenging transitions we, as childen, have to make. Lower the bar a bit. Think “team”, not “parent-child”. Keep in mind that your parent doesn’t want his or her new role any more than you do. Asking for your help stretches their comfort zone as well as yours. Tell yourself and your parent that you are “both in this together”. Resist the impulse to treat your parent as a child, especially when they are unable to complete a simple task or remember something. As a team, you can support one another. And, you will begin forming a new relationship; one that is less encumbered by your past roles. Seek humor, wherever you can find it. What did you used to do that made you both laugh? There may be memories you can still reach together. Try to infuse your days with opportunities to share laughter. And, yes, humor can be found even when things go wrong. But you have to work at finding it. Accept help. 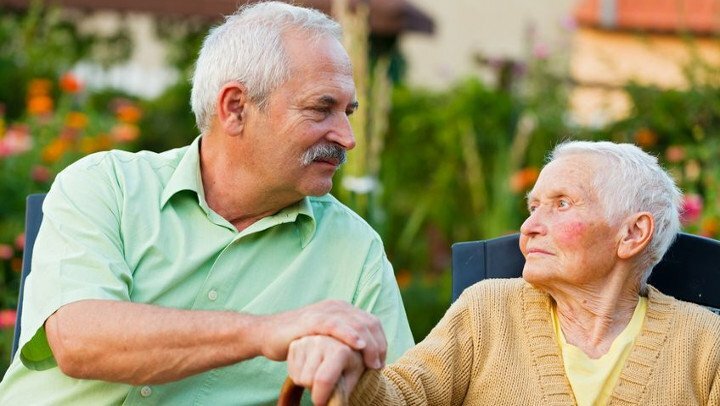 No one can provide quality caregiving without help. When family and friends offer to help, accept their help. Develop a support network. People feel good about helping. Let them. Consider a short term, respite stay at a local memory care community. That will give both you and your parent a change of pace and some time to re-charge. Remember that, by reassuring your parent, you are reassuring yourself.